Greylag Goose (Anser anser). Taken at Farmoor, Oxon., on November 6th 2011. Taken at Farmoor, Oxon., on November 6th 2011. Greylag Goose (Anser anser). Taken at Farmoor, Oxon., on January 13th 2013. Taken at Farmoor, Oxon., on January 13th 2013. 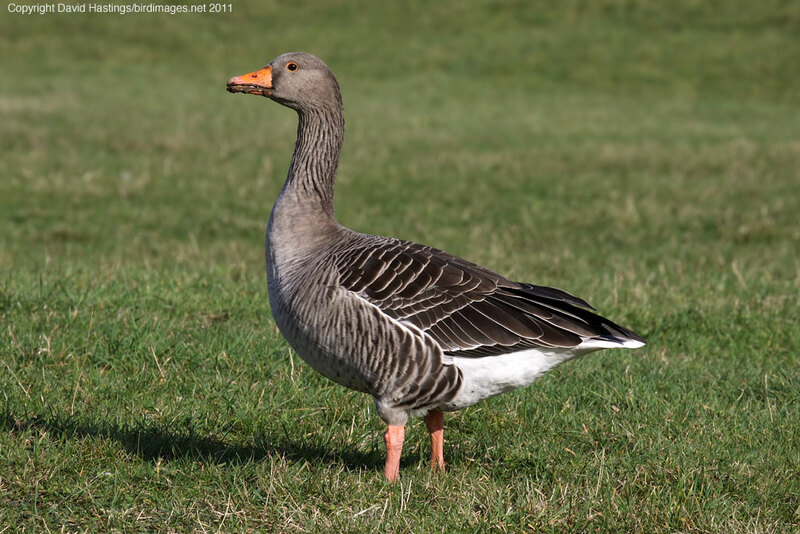 The Greylag is a large goose, weighing in at between 5 and 12lb. It has a large head and almost triangular bill. The legs are pink, and the bird is easily identified in flight by the pale leading edge to the wing. In Britain wild Greylags only breed in the Outer Hebrides and the northern mainland of Scotland. During the 20th century feral populations were established elsewhere, and they have now re-colonised much of England. Around 3200 wild pairs and 31000 feral pairs nest in the UK, while around 92000 birds over-winter here. The breeding habitat is a variety of wetlands including marshes, lakes, and damp heather moors. 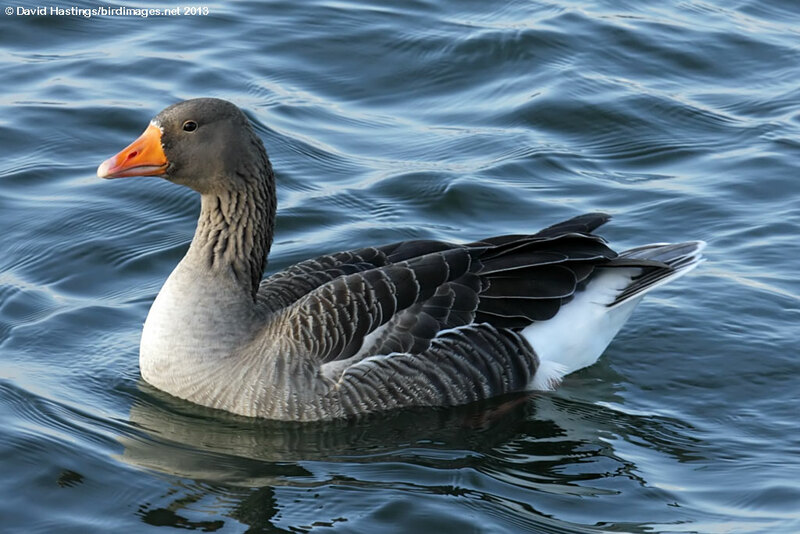 The Greylag is migratory, moving south or west in winter, but Scottish breeders, some other populations in northwestern Europe, and feral flocks are largely resident. Its conservation status is vulnerable owing to small number of wild breeding pairs.